Yorkshire Caterers FAQ. BBQ event catering and Yorkshire Hog Roast hire. Although we try to explain as much as we can within the content of our website you may still have some questions, so below we have created a Yorkshire Caterers FAQ with some of the most commonly asked questions and our business terms, if your question is not here please feel free to give us a call or email us with yours and we will do our best to answer it for you. We then know to also include it on this Yorkshire Caterers FAQ if suitable. Can we have a tasting session? Unfortunately we don’t do tasting sessions like what a hotel or restaurant may do, this is mainly because the main elements of the catering we do such as hog roasts, bbq’s and our giant size paella pans cannot be done on such a small basis required for samples to try. As a busy small business we would have to charge an unreasonable amount for these tasting sessions and wouldn’t be able to recreate some of the dishes and menus that we offer on a very small-scale; such as the big pans & hog roasts. So instead we have lots of pictures showing what we do throughout the website along with descriptions and ingredients and real testimonials from clients that can be seen on our testimonials page. Yes, we are happy for prospective clients if they wish to see testimonials from previous clients. We can post out photocopies of these references, testimonials and feedback that we receive back from clients, however please note that in order for us to abide by the Data Protection Act 1998 we will have to blank out certain key parts of addresses which is why they’re not included on our testimonials page or in this Yorkshire Caterers FAQ. Yes, we have insurance to cover us for anything that may go wrong with us, such as public liability, vehicles, equipment and our staff, so we are covered. Additional insurance to cover the wedding itself can be a very good idea, encase of personal emergency, such as a close family member dies or the groom breaks a leg or worse just before the ‘big day’ and for this we suggest Compare Wedding Insurance site for a good choice. Do we do silver service (table service)? The catering options we do are designed to be informal and as a nice alternative to ‘silver service’ or waited on, promoting a more relaxed enjoyable atmosphere for guests whatever the occasion, and so are served in a ‘buffet setting.’ Pictures of how we do this are on various pages of the site and in-particular on our testimonials and gallery page. Are you registered with Environmental Health? Yes, we are registered with our local Environmental Health Office and have annual meetings with them and have a very good rating of excellent 5/5 star’s with them. Can i claim my VAT back from you? Yes you can, because we are VAT registered. 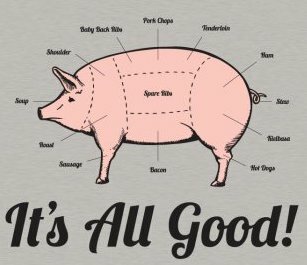 Where are your pigs sourced and what bread are they? 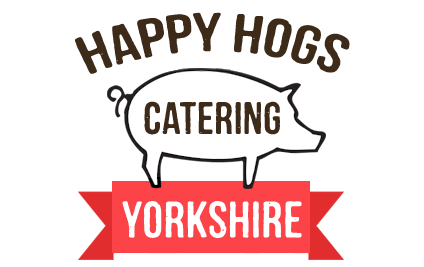 All of our pigs are from a FREE RANGE farm in North Yorkshire, the breed is an multiple award winning breed for quality and taste. What sort of meat do you use? All the meat we use is free range from our hogs and our homemade sausages to our homemade 100% beef burgers. How long does it take to serve a hog roast? We operate to a 1- 2 hour serve time to EHO guidelines, and to ensure your hog does not go cold once we have started carving and serving it to your guests. How many will a hog roast feed? We will supply the correct size pig for the number of guest at your event from 20 to 400+. What if i want a hog roast for 30 guests? 30 guests is fine it will just cost a little more per head. How much will a hog roast cost? We tailor make each quote to keep your costs down and to suit the number of guests/portions and menu choices to your event. Are your staff all trained? Yes, all of our staff have appropriate Health and Hygiene and Food Handling & Preparation Certificates and are all well uniformed and presented. All we need is adequate shelter (or we provide a gazebo) and a flat area of a min 3x3mtrs for us to work within. We can carry and serve the hog inside, or we provide a gazebo* for the food, our equipment and the hog, so the rain has no effect on our oven or the service we provide, however you will need to provide shelter for your guests. If there are other venue or weather enquiries not covered in this Yorkshire Caterers FAQ please feel free to email us for peace of mind. What if we don’t eat it all? We will remove and dispose of any food left or if you provide containers or bowls then we will leave any food left with you. We do not store or have access to customer payment details that have been made through our PayPal payment system. All bookings are taken on a first come first served basis, dates can be provisionally held at discretion for 5 days only. All quotations are valid for 2 weeks after this time it is assumed cancelled. To proceed to a booking please confirm via phone or email to us and we will send out a booking contract, which must be hand signed and a copy sent back to us within 7 days along with a non-refundable deposit (£150.00 or 10% whichever is greater) which is deducted from the outstanding balance which must be paid in full no later than 14 days prior to the event. Clients will receive a booking form / contract with details of their event and service, if the booking is cancelled by the client the deposit is non refundable, we must be informed in writing. If the booking is cancelled within 8 weeks of the event date then the full amount outstanding must be paid in full. We don’t provide a credit facility; all bookings must be paid in full at least 14 days prior to the event, unless at short notice and or otherwise agreed at the initial enquiry by Happy Hogs Catering. Copyright © 2019 | Happy Hogs Catering. All rights reserved. Event Caterers Yorkshire Catering.